Eoin Morgan – Get involved with Cowdrey CC! 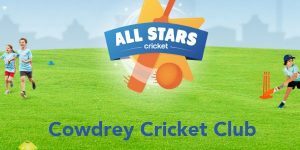 New for 2019, Cowdrey CC are taking part in the ECB-affiliated All Stars Cricket programme. If you have a child between the age of 5-8 interested in having fun while learning the basics of cricket please see the link below!